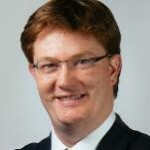 Danny Alexander is the Former Chief Secretary to the Treasury and a Liberal Democrat politician, holding that role as part of the coalition government between 2010-15. He was MP for Inverness, Nairn, Badenoch & Strathspey from 2005, before losing his seat in the 2015 general election. Danny was part of the four person team for the Liberal Democrat government responsible for negotiating and drawing up the documents that united the Lib Dems and the Conservatives to form the Coalition Government. Danny also had strong ties to Nick Clegg, as his chief of staff and as a close adviser to the former deputy prime minister. Working alongside the chancellor George Osbourne, Danny was responsible for many of the fiscal changes implemented during the coalition government’s tenure. He emphasized the creation of a ‘fairness premium’ designed to help poor children, amidst a barrage of spending cuts elsewhere. Danny was knighted in the 2015 Dissolution Honours Lists.